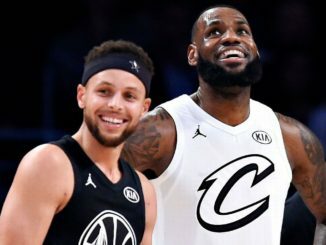 Last year, for the first time, the NBA moved away from an East vs West All Star game format. This is the second year of the team captains format and for the first time, the captain’s draft was televised last night on TNT. The two captains are Lebron James and Giannis Antetokounmpo as a result of being the two leading fan vote getters. The draft was fun! It was entertaining and it’s great that the NBA decided to televise it. Bradley Beal was the last pick, but do you think his feelings are hurt? Same with Kemba Walker, who was the final pick among starters. The draft is meant to be a fun, entertaining event among All Stars. Fun, entertaining event…that’s simply all the All Star game is at this point. It means nothing – it never has it never will. It’s simply for fans to enjoy and for the players to blow off some steam and have some fun. That’s why it’s hard to criticize Lebron or Giannis for any of their draft picks last night. They took the guys they wanted to play with, hang out with, and built their teams the way I had anticipated. 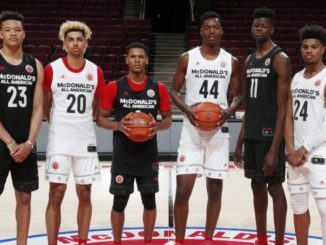 Team Giannis is full of international flavor and guys with incredible size, while Team Lebron is full of potential future Lebron teammates. 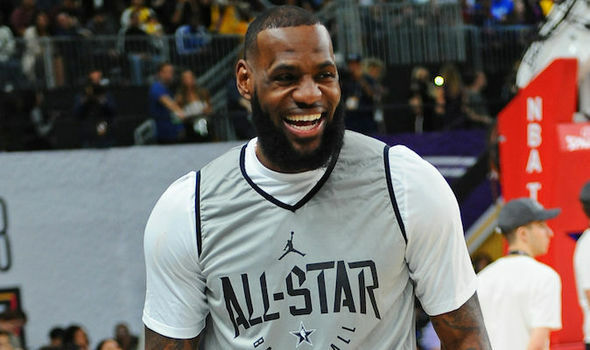 While the weekend is meant to be fun and playful, Lebron is using the All Star weekend as a business trip, as a vehicle for recruitment and “legal tampering”. All four men could opt out of their contracts and become free agents on July 1, 2019. All have been linked to the Lakers one way or another. Pairing Durant and Lebron, the two best players in the league, would be something special. Kyrie and Lebron have apparently made up from their differences that split them up in Cleveland. Lakers tried to trade for Kawhi last summer, before he was dealt to the Lakers. And Klay is from LA and has been a rumored target for LA this summer. Lakers tried hard, publicly, to acquire Davis at the trade deadline but to no avail. Rumors are, no matter who trades for Davis this summer (Celtics?) that he will sign with Lakers in the summer of 2020 when his contract is up. Beal has been linked to Lakers as well as a target and could be pursued this summer using some of their young players. Kudos to the NBA for having Wade and Dirk on the All Star teams, as special 13th men. Kudos to them mostly for not taking spots away from deserving All Stars, but I don’t think any player is upset with the addition of both legends, who are in their final NBA seasons. Lebron had first pick of the two and obviously chose his best friend. Lebron was not able to draft Simmons. Giannis did, in fact, he even called Lebron out saying “I’m taking your boy”. Lebron cursed on air. Later, the two came to terms on the 25th trade of the trade deadline, sending Russell Westbrook (away from Kevin Durant) to Team Giannis for Simmons. Team Giannis, as mentioned, has the international flare with Joel Embiid, Dirk Nowitzki, Nikola Jokic and Nikola Vucevic. You’ll also notice al of these guys are roughly 7 feet tall. You can call then team wingspan. He drafted his Bucks teammate Khris Middleton first, which obviously was silly, but in a game that’s meant to be silly and fun, why not just play with your buddies. Lebron is. Even if Giannis buddies aren’t quite as good. Good for Lebron embracing what this game is all about – a business trip to legally tamper and recruit for the Lakers.